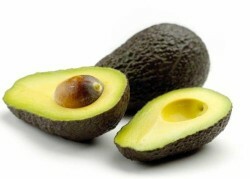 Avocados are a rich source of vitamin K which helps the blood clot. Avocados are packed with the good fats we have heard so much about. But do avocados make you fat? Learn the truth about the fat and calories.There are approximately 235 calories in one cup of plain raw avocado. The amount of calories coming from fat is 34% with 18% being saturated fat. 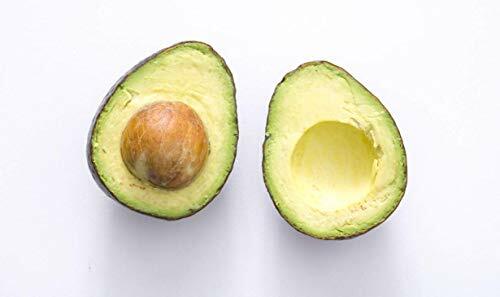 There is no cholesterol in avocados. Avocados are low in sodium and rich in potassium. One cup of raw avocado contains 29% fiber and 6% protein. This amazing food is packed with super nutrients compared to the calories. Read on to learn more avocado facts. Did you resolve to eat more fresh fruits and vegetables this year? Lately you see avocados piled in your grocers produce department. Everyone is talking about how healthy avocados are and yet you still hesitate worried about the fat and calories. Is all ll the buzz about avocados true? The buzz is all about smart people including avocados in their healthy diet and fitness plan. Why because avocados are an amazing super food. The one thing that creates pause anytime a weight conscious person considers adding avocados to their diet is the fat and calories. The avocado contains more fat than most fruits and vegetables which commonly contain none at all. The key here is the fat in avocados is the heart-healthy monounsaturated kind of proven to be good for us. In addition to the heart and brain healthy fat avocados also contains vitamins A a E, and B vitamins, potassium and protein. All great for energy, building muscle mass and burning fat. It’s recently been reported that avocados fight oral cancer cells. The fear of gaining weight has many afraid to add avocados to their diet despite hearing all the health benefits. It's such a rich, creamy food that feels and tastes like it's loaded with rich calories and fat. You no doubt have been surprised at how many calories an avocado actually contains! This is good news and to confirm the avocado only has 235 calories per one cup serving of fresh, raw avocado. Go ahead enjoy this super food on sandwiches, salads and simply plain. Veronica, Indeed I agree, I too love avocados and I too plan to try the egg idea. Sounds great. For some reason I enjoy a diced avocado, but not when it is used as guacamole. I believe the good outweighs the bad. Avocados are delicious AND healthy. I make guacamole as a side when we have chilli. I also love chicken, bacon and avocado salad with mixed leaves. One idea I have yet to try is removing the stone from an avocado and putting raw egg in the hole, then baking it in a moderate oven for about 15 min until it is cooked. How good does that sound! katiem2, What a fun learning experience of an article! I love avocados even though I have to stop and remember not to spell them like potatoes. One of my favorite recipes is a fish-filled avocado half from a friend of mine from northern Mexico. They taste like they'd be fattening because of their robust taste even though they're not. VioletteRose, guacamole has lots of healthy additions, tomatoes, garlic etc. It makes avocados even better. I do not prefer the taste of plain avocados, but I love guacamole! UG, Keep on eating avocados, they are very good fats. I love avocados, eat Chipotles quak all the time. I thought avocados made you fat. It's good to know how to eat them and get the benefits of the good fats. Wearing kitchen aprons are fun, functional and brighten up any kitchen decor. Learn why aprons are making a big come back and how you can enjoy wearing an apron as well.